Legislation to make CCTV cameras mandatory in slaughterhouses in England to safeguard animal welfare has been laid today (23 February) by Environment Secretary Michael Gove. "We have some of the highest animal welfare standards in the world and want to cement our status as a global leader by continuing to raise the bar. Introducing compulsory CCTV cameras in slaughterhouses is a further demonstration to consumers around the world that as we leave the EU, we continue to produce our food to the very highest standards. The previous reaction to the consultation highlighted the strength of feeling among the public that all animals should be treated with the utmost respect at all stages of life and be subject to the highest possible welfare standards." 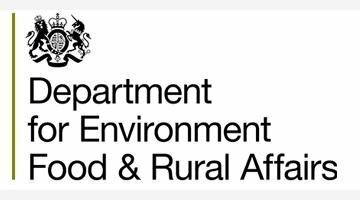 The proposals will also give the Food Standards Agency's (FSA) Official Veterinarians (OVs) unfettered access to the last 90 days of footage to help them monitor and enforce animal welfare standards. The FSA has strict processes in place for the approval of slaughterhouses, and specially trained vets carry out checks to make sure the welfare of animals is protected throughout their time in the slaughterhouse. If breaches are found, a slaughterhouse can be given a welfare enforcement notice, have its staff's licences suspended or revoked, or be referred for a criminal investigation. "I welcome this new legislation being introduced. It will help businesses to improve animal welfare and hygiene standards across the industry. We look forward to working with the industry as CCTV plans are implemented, and to seeing public confidence rise as a result."